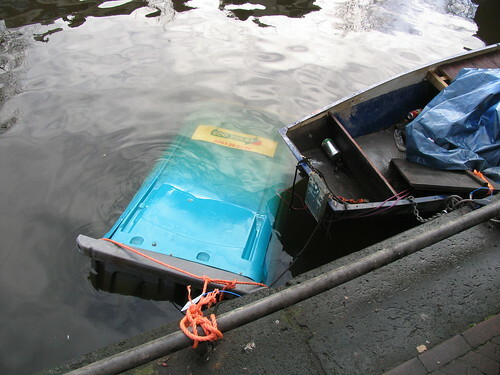 This one floated for months in the Prinsengracht, just across from the Anne Frank house. It really is a toilet. The ever so meticulous Binnenvaartbeheer attached a note to it stating that this was a wreck and that the owner had 30 days to remove it. How thoughtfull.